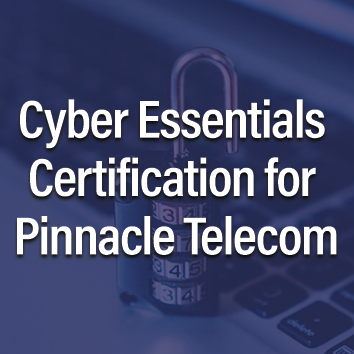 Pinnacle Telecom is now Cyber Essentials Certified. 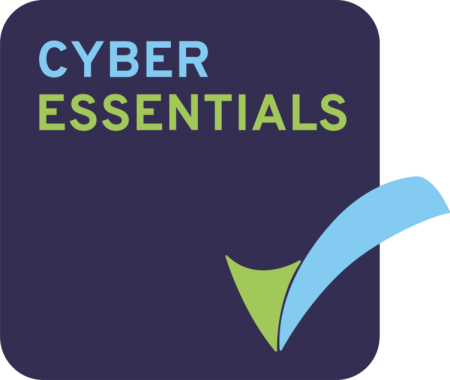 As part of our on going Cyber Security initiatives Pinnacle Telecom are now Cyber Essentials Certified. The UK Government’s Cyber Essentials Scheme announced in June 2014 aims to drive awareness of the risks posed by cybercrime, and help smaller enterprises delivering products or services to the UK public sector to defend their IT systems, networks and customers’ data from attacks. Cyber Essentials has a primary aim to protect businesses against common cyber threats. Companies that are Cyber Essentials accredited are equipped to protect themselves against 80% of threats, as they learn how to implement the best security measures. The adoption of standards and certification for cyber-security can enable your organisation, and all stakeholders, to have greater confidence in your ability to measure and reduce basic cyber risks, as it demonstrates that you have been independently assessed. The scheme focuses on 5 key controls. • We can bid for Government contracts (Cyber Essentials has been mandatory for suppliers of some Government contracts since 2014 and the requirement is being extended). INTERESTED IN UPGRADING TO THE 6930? 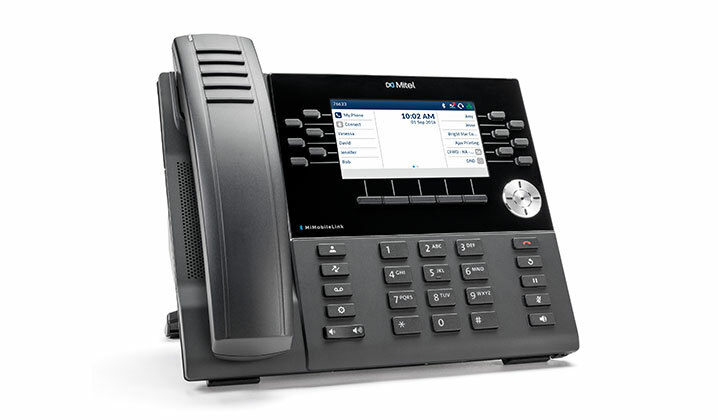 Mobile device integration seamlessly marries your mobile phone call audio and contact information with the MiVoice 6940. Calls to your mobile phone can be answered on the MiVoice 6940 just like any other call, leveraging the superior audio performance and ergonomics of the 6940 IP Phone. Mobile phone contacts are automatically synchronised with the MiVoice 6940 allowing access to the same contacts on either device. Additionally a powered USB port suitable for charging a mobile phone is also built into the MiVoice 6940. INTERESTED IN UPGRADING TO THE 6940? Fibre Internet Connectivity currently offers the fastest and most reliable Internet Access speeds available. The UK Government is committed to helping SME’s achieve the most productive service with a vision of a Full Fibre Britain. 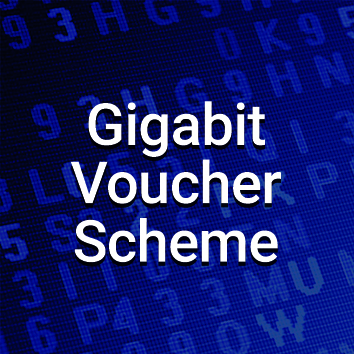 As part of this commitment in March 2018 The Department for Digital, Culture, Media & Sport announced the £67m Gigabit Broadband Voucher Scheme. Pinnacle are proud to be part of this and support this scheme as an accredited partner. Find out if you are eligible by reading our guidelines below and The Department for Digital, Culture, Media and Sport’s Terms & Conditions. Businesses will not be required to subscribe to gigabit services, but the leased line connections must be capable of supporting these speeds – both upload and download – from day one. The funding contributes between £500 and £3,000 towards installing these connections, but does not cover VAT or monthly costs. Apply for your voucher today. 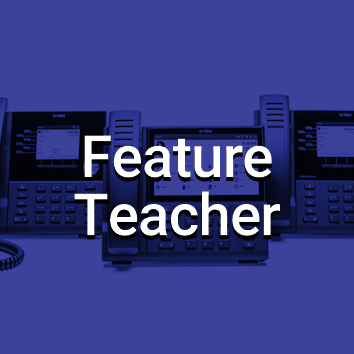 Learn more about the handsets sat on your desk with our Mitel Feature Teacher. A great self-education tool covering the 5300 & 6900 Series, the guides offer a fully comprehensive “how to” for your handsets. 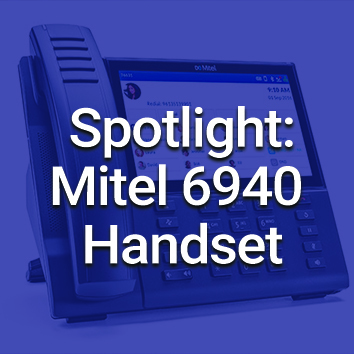 From call transfering to conferencing, this guide will be sure to answer any questions or queries you have relating to your Mitel Handset. 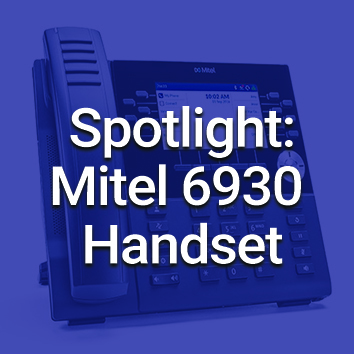 Click here to select your Mitel Handset and explore the many features. NEW! Try our new internet speed test! Speedtest® by Ookla® is the definitive way to test the speed and performance of your internet connection. Every day, over ten million unique tests are actively initiated by users in the locations and at the times when their connectivity matters to them. Since our founding in 2006, an unparalleled total of more than 20 billion tests have been taken with Speedtest. Click here to test your Internet Speed today!